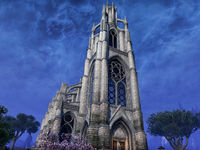 "But above all others they did venerate the Lady of Light, building for Merid-Nunda a chapel of colored rays and beams, which was for glory like a piece of Aetherius brought down to the mortal world." 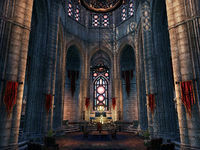 The Chapel of Light is a large temple in the center of the Hollow City dedicated to Meridia. Its interior contains a large table where the leaders of the resistance meet. This page was last modified on 15 April 2018, at 09:17.